You wanted a Breitling for some time? You are essentially on a Tag Heuer budget? You’re in luck, the day has come, with hard times and harder to make sales, that a retail price point for Breitling reaches $2,000.00. 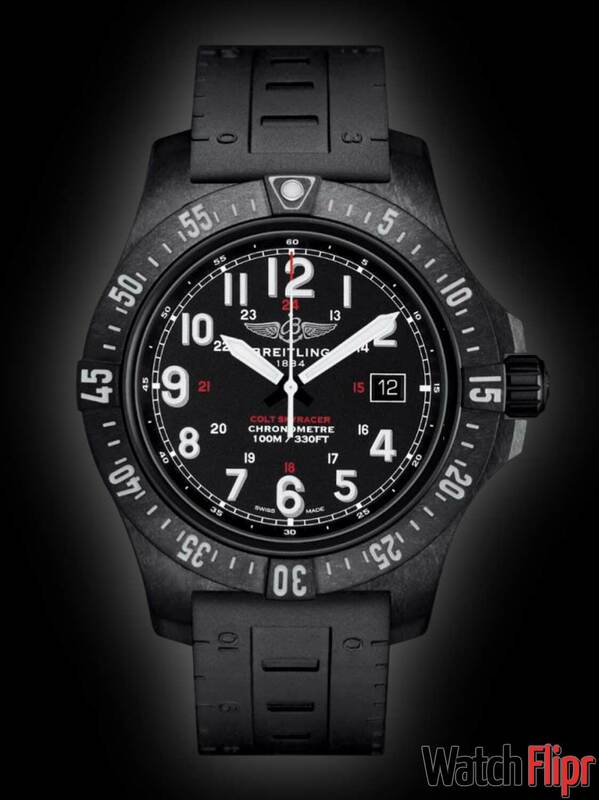 The new Breitling Colt Skyracer has reached the scene and I imagine it will be a hit. Here are the specs. Hope it has an exhibition caseback, this is going to be a sweet piece. Unlikely, it has a quartz movement. My next watch for sure! What’s the movement? It just says Breitling 74? The Breitling 74 is a Superquartz. Caliber ETA Thermoline 955.652. I can’t wait to get my hands on a reasonably priced Breitling that is not pre-owned. I like Tag, but love Breitling! Why would anyone pay $2K for a quartz movement?